Middle America "Frostie Freeze" tranformed into a Latin America "La Salsa". 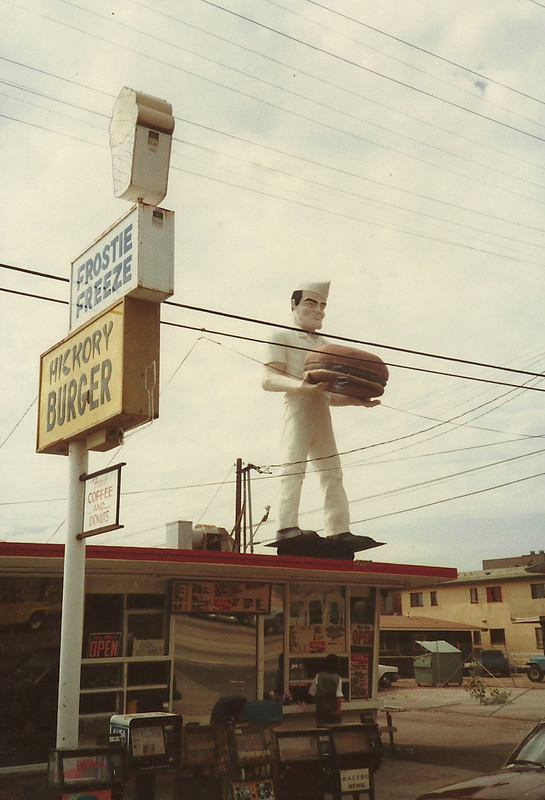 Located at 22800 Pacific Coast Highway in Malibu, this stand was originally a Frostie Freeze. 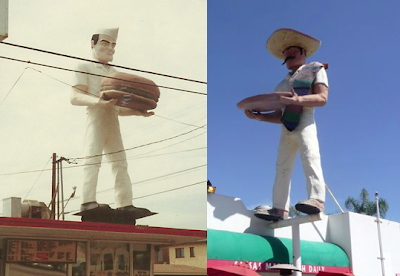 Built in 1949, it had a larger than life "road side attraction" Burger guy on the roof. This photo was taken by yours truly back in 1984. In 1987 the restaurant was sold to the La Salsa chain, and the Burger guy was tranformed into the Taco guy. Here's a link to the changes that were made. 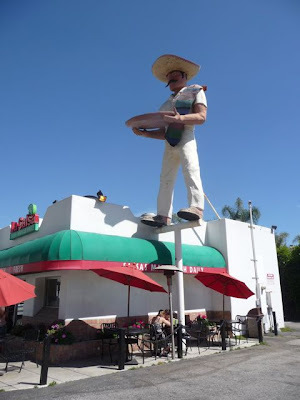 While these road side attraction figures are not unique to Los Angeles, this is the only one I'm aware of that's received this kind of extreme make-over. Certainly symbolic in many ways of Los Angeles. That would be the real Los Angeles (not the L.A. everyone sees in the movies). So where - or what - exactly is Los Angeles?